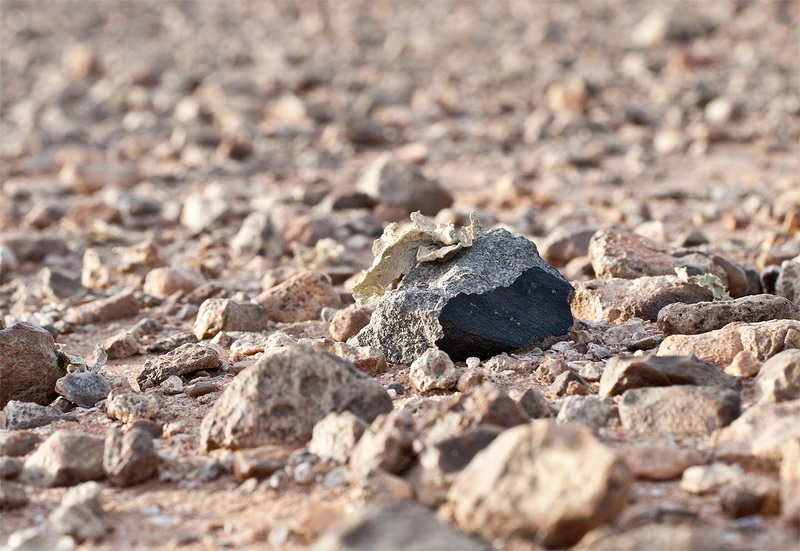 Two large and many small fragments of a fresh eucrite were found during a meteorite search expedition in September 2010 at the northern edge of the G’idat Amwizirat plateau. Both of the larger fragments had a fully grown specimen of the frucitose lichen Ramalina maciformis growing on them. 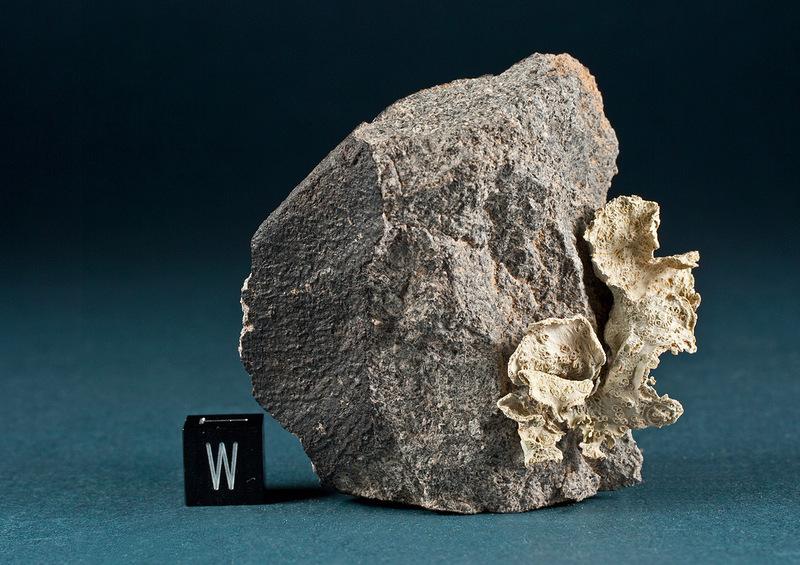 Despite the pristine and unweathered appearance of the meteorite, the plant indicates a terrestrial age of several years. The top photo shows the 130 g fragment prior to cutting, the lower image is an in situ shot of the find location.